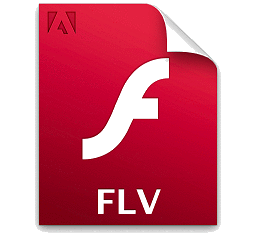 Due to small size and high loading speed, FLV (Flash Video) is widely used in a large amount of online video-sharing websites (for example, YouTube, Hulu, VEVO). Therefore, most music videos we download from those sites are .FLV files. 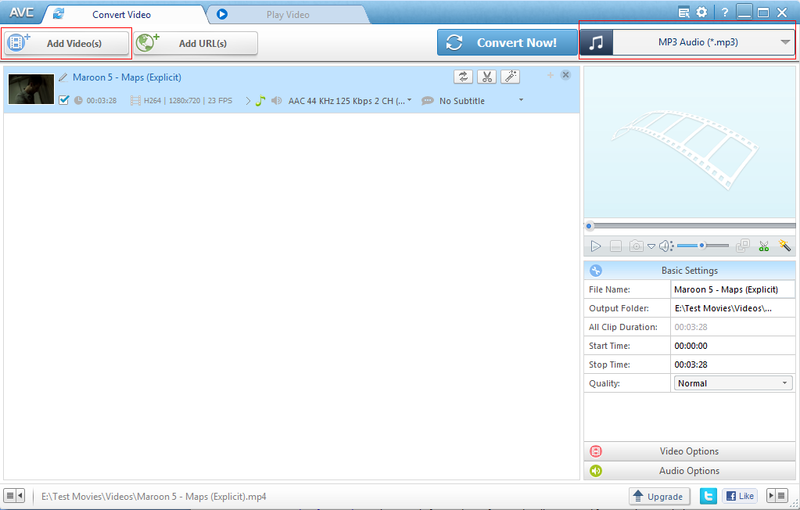 And, some users have needs for converting FLV to MP3 for enjoying music extracted from videos with MP3 player on the go. Here, I will list best 3 free FLV to MP3 converters to free convert FLV to MP3 music/audio with ease. Free convert FLV to MP3, AAC, AC3, iPhone Ringtone and lossless audios as easy as pie. 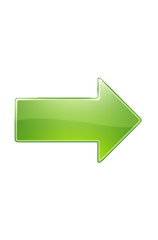 There are a large number of free FLV to MP3 converters in the market. However, as for the best, it should meet the following requirements: to free convert FLV to MP3 in a simple and fast way and to retain a high quality of MP3 music/audio. And, the top 3 free FLV to MP3 converters below are the best choices. Aiming to specify a best free way of FLV to MP3 conversion, WinX Video Converter demonstrates a pretty intuitive interface to make users to learn how to operate without any guesswork. It is totally stand-alone, 100% clean and safe with adware, malware, spyware, virus free. For obtaining higher audio quality, you can use High Quality Engine and customize audio parameters (bit rate, sample rate, channel) provided by this best free FLV to MP3 converter. It is also a speedy converter that it only costs 7 seconds to convert a FLV video (3 and a half minutes length, resolution of 1280x720) to MP3. As one of the best 3 free FLV to MP3 converters, WinX Video Converter cannot only support FLV to MP3 conversion, but FLV to other audios like AAC, AC3, iPhone ringtone, lossless audios (FLAC, ALAC, WAV), FLV to videos like AVI, MP4, MOV, MPEG, WMV and FLV to devices like iPhone XS/XS Max/XR/X, 8/7/6S Plus, iPad Air 2/Mini 2, Samsung Galaxy S9/Note 9, PS4, Xbox One, HTC, Kindle Fire. Any Video Converter Free is a professional free video converter, supporting over 100 input profiles and 200 output profiles capable of converting videos among any formats and extracting audios from videos. The straightforward interface and well-organized function buttons help users to free convert videos with ease. Although it takes two more seconds to transfer the same video to MP3 than WinX Video Converter according to the speed test, this best free FLV to MP3 converter offers a very fast way to complete the conversion. There are two cons of Any Video Converter Free. Firstly, it is bundled with an irrelevant plug-in, AVG PC TuneUP, which will be automatically installed if you don't customize installation. Secondly, every time one task is finished, a small window will pop up asking you to upgrade free edition to premium edition. Format Factory is the most versatile video converter among the best 3 free FLV to MP3 converters, which can convert videos to videos/audios/pictures, rip DVD to videos/audios, backup DVD to ISO, but the most complicated converter since no obvious "Add Video" button shown on interface so that you may need to get help from a user guide. Conversion speed of Format Factory is little slower than other two best free FLV to MP3 converters, about 10 seconds. Like Any Video Converter Free, Format Factory is bundled with ads. If you click the banner on the bottom of interface, you will access the download sites of Ask Toolbar. Fully functional converter to convert FLV to MP3, other popular audios/videos/devices and conversion between various videos. Has most input and output profiles. Reviews and comparison of the best 3 free FLV to MP3 converters point out that WinX Video Converter is a better choice than other twos to free convert FLV to MP3 effortlessly because its versatile functions, ease of use, speedy conversion and independence without annoyed ads/plug-ins. 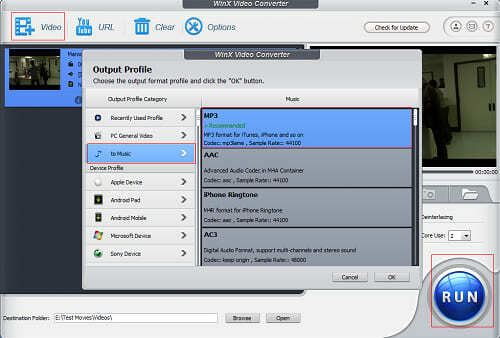 WinX HD Video Converter Deluxe - Download and convert YouTube FLV/MP4/WebM videos to audios MP3, AAC, AC3, FLFC, iPhone Ringtone etc; videos AVI, WMV, MOV, MPEG and devices iPhone XS/XS Max/8/7/6S/6/6 Plus, iPad Air 2/mini 3, Samsung Galaxy, Goolge Nexus, Windows Phone, PS3/4, Xbox and more with possible highest quality.